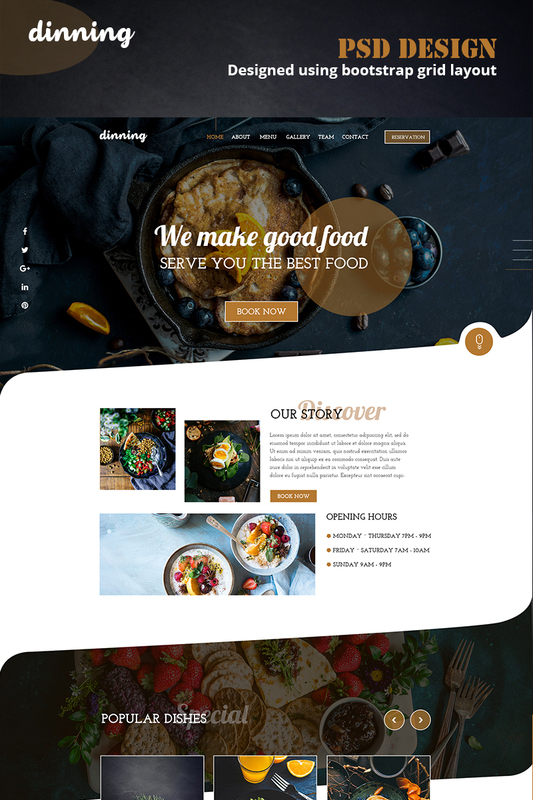 If you are looking for an ideal PSD template for the website of restaurant, dinning is the right choice for you. It is perfect for all kinds of restaurant Website. Since it is 100% customizable so you can edit this template as per your choice. Here, you will find a number of shapes and all of these shapes are resizable and removable. You can convert it into HTML, WordPress and any other platform you like. Single Site License $10 Under a Single Site License for the template you are granted a non-exclusive non-transferable permission to use the template on a single domain.